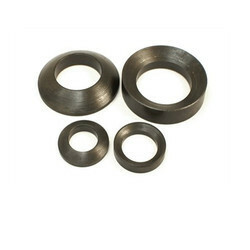 We are a leading Manufacturer of c-washer and spherical washer with conical seat from Navi Mumbai, India. B4-SWCS-8 M8 8. 17 3. 10 15. 4. B4-SWCS-10 M10 11. 21 4 12 19. 4. B4-SWCS-16 M16 17 30 5. 19 26 6. B4-SWCS-20 M20 21 36 6. 24 31 8. B4-SWCS-24 M24 25 44 8. 28 37 10.